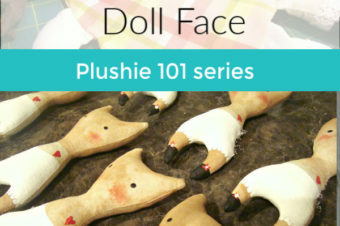 Part of the character of your dolls and plushies is the face. They can either be embroidered or painted- both are great options. 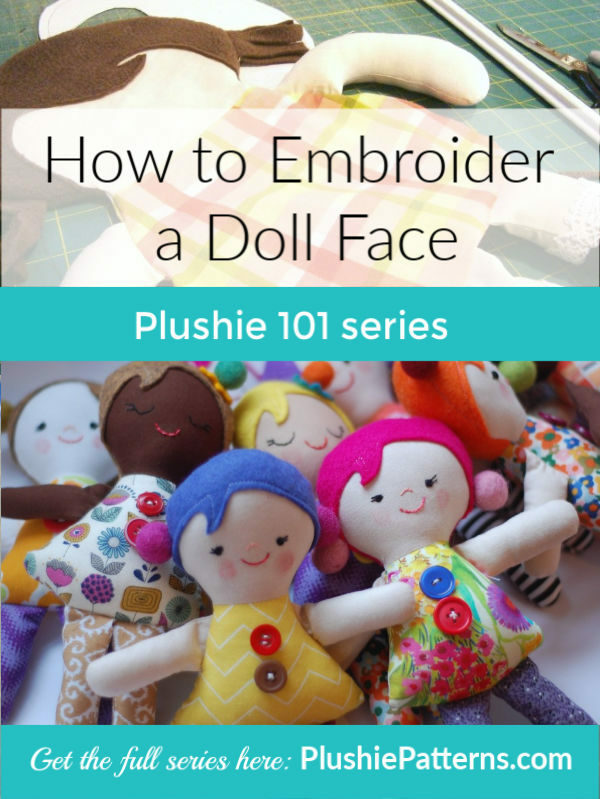 Today we will take a look at how to embroider a doll face and some tips and tricks to make them look just right. 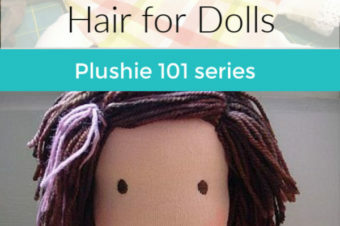 3- transfer your face drawing onto the doll face. Use pencil and very light pressure, or even a wash away marker. 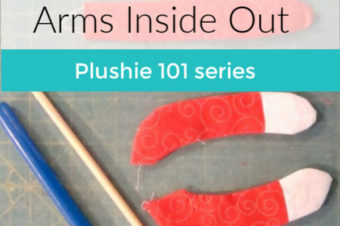 If you don’t like the template, you can make quick adjustments without wasting fabric. Pressing hard and using permanent marker for drawing your face can cause some issues in the future. 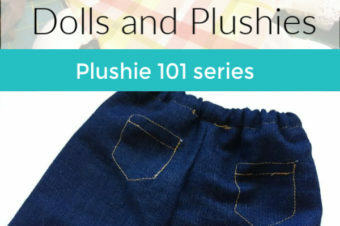 4- stitch your design using the needle and thread. You can also vary the look by using 2-4 strands of thread (if using DMC floss) Practice on another piece of fabric before deciding. Check the thread- especially red. Sometimes the colors leach or bleed onto the fabric. This can cause some issues. Red is usually the culprit. 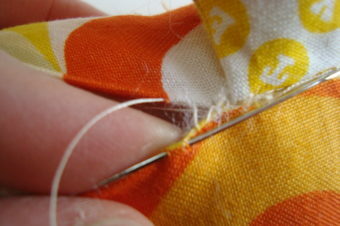 Do a quick test with your thread before investing in all the time and energy to stitching them. Add felt embellishments for cheeks if you’d like. You can mix it up by adding some fun felt embellishments. They are quick to do and easy to stitch down. 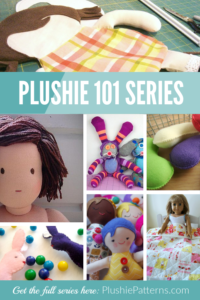 What you’ll find in the Everything You Want To Know About Sewing Dolls & Plushies series: Free tutorials, multiple options, ideas, inspiration…. How else can you help out? We’d love to make sure that we are hitting all the topics that you need and have an interest in learning! Is there a topic that you’d like covered? We’d love to hear about it- drop it in the comments! Want to remember this? 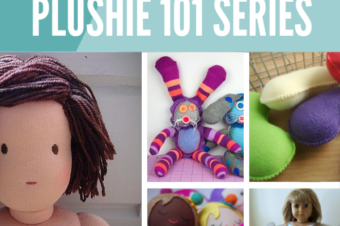 Save the Plushie 101 Series to your favorite Pinterest Sewing Board!